About the Book: Isabel is a shifter-an immortal creature bound to protect the king of Somorna. Years ago something happened to make Isabel disappear into the wood and now Prince Rokan needs Isabel's protection. But Isable knows Prince Rokan is lying to her and she finds her loyalties being tested-who can she trust, who should be protect, and can she trust her heart? 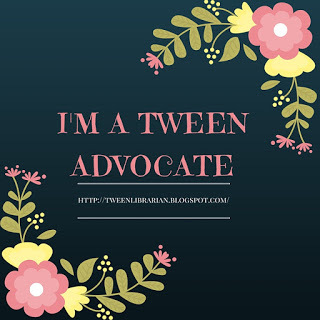 GreenBeanTeenQueen Says: I picked this book up because of the blurb comparing it to Graceling. I could see how this could appeal to fans of Graceling, but I don't think it's complex and detailed as Graceling was. 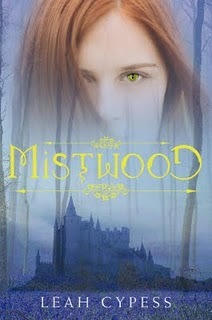 It's still an enjoyable read and I found myself compulsively reading Mistwood over the course of a couple of days. Isabel starts the novel not knowing anything about her shifter past-she really has no memories and we the reader feel Isabel's joltedness from the start. We're thrown in with her, with no back story and we learn what has happened as Isabel learns it. This was somewhat jarring at first, but I liked it as I felt it made me more empathetic towards Isabel. Although this is a fantasy, I would give it to readers who might typically shy away from fantasy. I never found the world to be hard to understand and it's much more a mystery and conspiracy driven novel than it is fantasy. I kept trying to figure out who was telling the truth and there's a big twist about halfway through the book that I really liked. I did have the ending guessed pretty closely, but it was fun getting there. My complaints would be the big fight at the end-I felt like that was the only part of the book I didn't follow as well-there was too much going on and it happened so fast I had to go back and re-read it to make sure I knew what was happening. There's also some mild romance, but it was so light and not really built and developed that I wasn't sure it fit. As much as I like romance, I either would have liked it more developed in the storyline or left out completely. All in all, this was a good debut and I've recommended it my co-worker who enjoys fantasy and I'm eager to hear her thoughts. Overall, the book is pretty clean, so it would work for middle school and up and mystery fans as well as fantasy fans should enjoy Mistwood. I've heard good things about this one. It sounds pretty good. P.S. I have an award for you. Awesome Review! I think I'm gonna pick this up now,I've heard great things about it. I agree somethings Mistwood was a little confusing but i loved the writing. Great review! Great review. I've heard a lot abut this book. I've heard so much about it. I fell right in the middle on this one. I thought it was pretty good but not the best book I've ever read. I imagine fantasy lovers might get more out of it than I did.